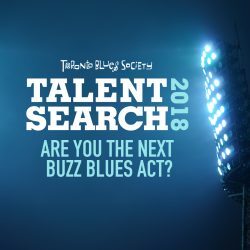 15th Annual Blues Bash: The Markham Jazz Festival is organizing their 15th Annual Blues Bash Thursday August 16th at 8:00PM. The event takes place at the Flato Markham Theatre 171 Town Center Blvd. in Markham, Ontario. 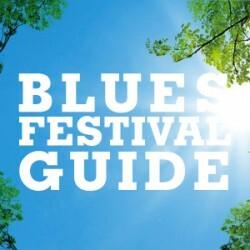 This year’s line-up is a who’s who of great Canadian blues talent featuring the music of Treasa Levasseur, Harrison Kennedy, Monkey Junk, Fathead and Shakura S’Aida. Doors to the theatre open at 7:00PM. Tickets for the show run $55.00 or $45.00 if you’re a Friends of Festivals cardholder … contact 905-305-SHOW (7469) / 1-866-768-8801 or www.Markhamjazzfestival.com for tickets. More Stages at Beaches Jazz: The Beaches International Jazz Festival has three stages down by the boardwalk starting Friday July 27th and finishing on Sunday July 29th. The Latin Stage is at the Leuty Lifeguard Station, The Big Band Stage is west of Lee Avenue and the all new World Beat Stage is east of the Boardwalk Cafe. Most stages start at noon and feature mostly local artists until 8 or 9. The new “world” stage offering is described as … “a uniquely Toronto global perspective, adding a lively mix of indigenous sounds and stirring in some contemporary music.” As part of the program a Latin Percussion – Rumba Workshop presenting concepts of the Cuban music through rhythm and movement as well as basic instruction on hand drums led by Joaquin Hidalgo will be offered. The 24th Annual Beaches International Jazz Festival runs from July 20th to July 29th. Information can be found at www.beachesjazz.com . Radio News: Diane Wells is now programming/hosting “Rockin’ the Blues from Canada” (folk/rock/blues & fusions) on Saturdays from 8-10 AM and “Iron Maidens” (multi-genre women’s music) on Thursdays, from 2-4 PM, at CHMR 93.5 FM (www.mun.ca/chmr) in St. John’s, NL. 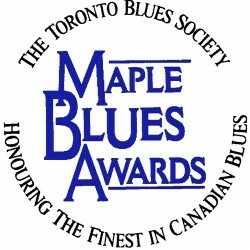 Submissions for the show can be sent to Diane at mistyblue1955@hotmail.com or shared via Dropbox. Blues Around the World: Gustavo Rozenberg is hosting two hours of the best of blues and jazz music every Saturday in Buenos Aires Argentina. The Good Times Blues Radio Program streams online at 93.1 FM http://radioradio7.com/radio/Argentina-Riel-FM-931.html. Arinfo’ website can be found at http://www.arinfo.com.ar/notix/ which also streams the stations programs.